Smile Brilliant Teeth Whitening Update + A Giveaway! Now with Halloween being over and going into the holidays I think its safe to say that we're all concerned about our appearances once again and already thinking about what we'll be wearing for the holidays and how big we can smile for the camera for all those family photos and gatherings. Remember that one post where I showed off my before and after teeth whitening results. Ummm not so pretty I know. But in order to get you to believe me I gotta show you the nitty-gritty! Well today I'm back to give you guys a recap and and update on how that's been going. Its already been a year since I started the journey and I'm happy to say that I'm very happy with the continuous results that Smile Brilliant has given me. Yes, I'm still a coffee and tea drinker, that's my only caffeine fix but with the daily drinking, comes the daily risk of yellowing teeth. Thankfully with Smile Brilliant gel teeth whitening two to three times a week has been more than plenty of times to keep my teeth as white as can be. Here's that shot again in case you wanted to see it again, ummm but seriously, huge change. I'm still way more confident smiling in front of anyone and for the camera. And to show you guys that this product truly is reliable, Smile Brilliant is giving my readers another opportunity to enter another giveaway, just like the first time around. See all the details below and don't forget to come back here to let me know what your experience is like. I'm sure it'll be as great as mine has been. Once again, one of my lucky readers will get to try out her very own Smile Brilliant At Home Teeth Whitening Kit, a $139 value! YOUR OWN CUSTOM-FITTED WHITENING TRAYS! 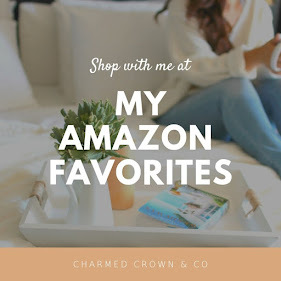 Also feel free to use a 5% coupon code: charmedcrownblog5 if you'd like to purchase your own right away, also for ALL giveaway entries, you will receive a larger gift code in your emails just for entering!